5% DOWN PAYMENT ONLY | AED 560 PER SQ.FT. 5% Down Payment Only | Apartments Starting From AED 434,888 | Townhouses Starting From AED 1.1 Million | Flexible Payment Plans | AED 560 Per Sq.Ft. Expertly master-planned community to include a range of modern perks and conveniences, this smart community puts everything at your fingertips and lets you design the life you’ve always dreamed of. With parks spanning 154,000 square metres, 16 community gardens, an extensive network of trails – this is a city life you thought impossible. Priced within reach of renting families and professionals, Town Square Dubai apartments and townhouses offer an exclusive address and exceptional opportunity. 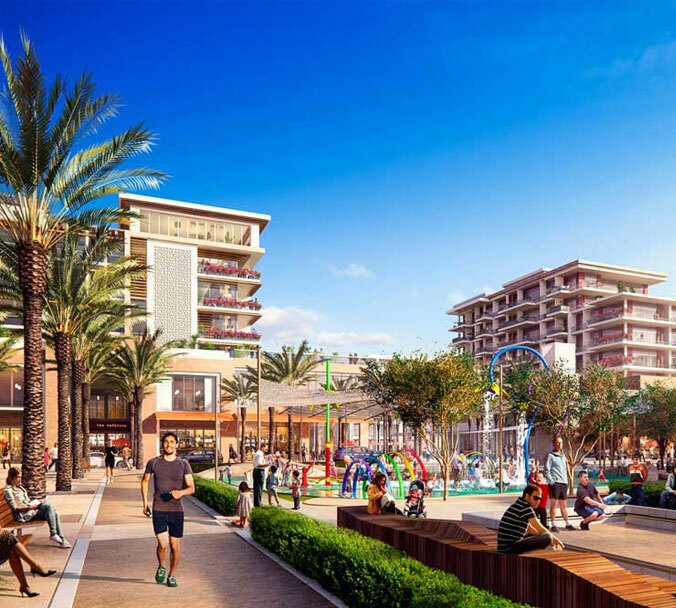 Town Square is a mega project launched in Dubai in early March 2015. Located along Al Qudra Road, the development is 750 acres in size and will eventually consist of 3,000 townhouses and 18,000 apartments. NSHAMA, the entire project will be built over 10 years. The development will consist of a central public space the size of 16 football fields, over 500 retail outlets, a cinema to be managed by Reel Cinemas and a Vida Hotel.